Recently, I found out about daily moisturizers that double as sun protection. It is a much gentler product that will moisturize, protect, and is more appropriate for your face. It sounds like a fantastic idea to me! But the first thing I think of when anyone talks about specialty items is that they’re bound to be super expensive. I like to buy one item that is good for just about everything if possible. Sunscreen seems like the best option for sure. You can just slather it all over and be ready to go! It just seems like the most cost-effective choice is to get one product for everything. 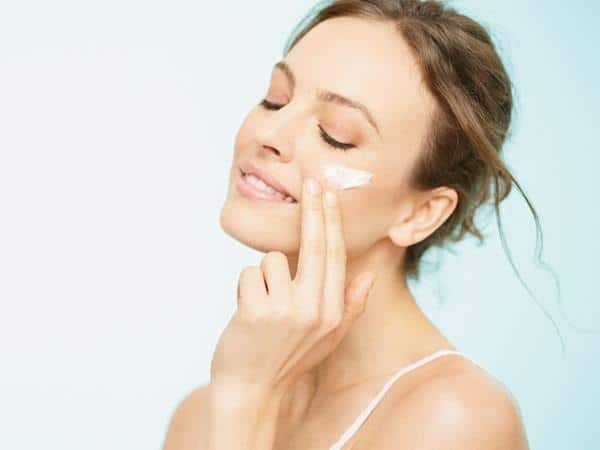 But the skin on your face is much more sensitive than you might realize, and by using a normal sunscreen, you may end up causing irritation, drying out your skin, and clogging pores. So in all reality, it really would be best to get something gentler that it suited for your face. Since I’m am super motivated to take better care of my skin, I decided it was high time to look into some options for a daily moisturizer with sun protection. 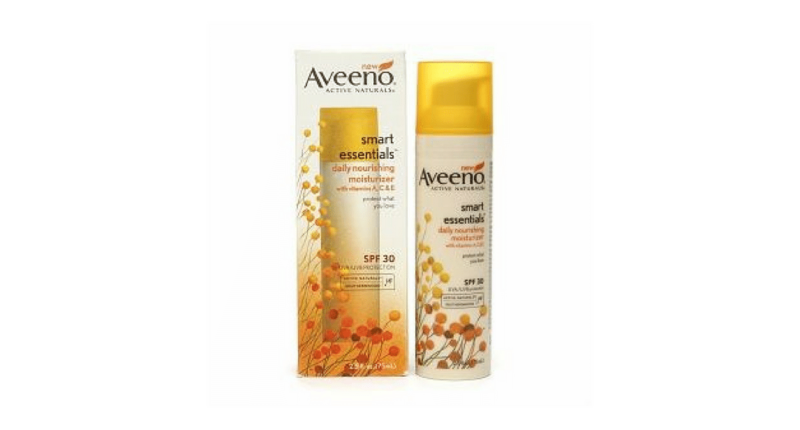 A favorite seems to be the Aveeno Smart Essentials Daily Nourishing Moisturizer with Broad Spectrum SPF 30. It’s a mouthful to say, but it is definitely a crowd pleaser and I would love to find out why. So I’m here to break it down and see if it’s a good option for me and hopefully this review will be a big help for you as well! Whenever I am looking into a new product, I like to break down the specifics because it can make it much easier to get a good idea of what the product can be used for. As well as who should consider it and why it would be useful. This often comes down to the ingredients and what the customers think of it. Products make a lot of promises, but everyone is different. What works for one person won’t work for everyone. So let’s get down to the useful details! Affordability: I would consider this a very affordable product. It is not the cheapest on our list, but it is certainly reasonable. When it comes to products like these you don’t get much, this is only a 2.5oz bottle. But a little does go a long way, so this should last you awhile! How to Use: It is highly recommended that you apply this all over your face about 15 minutes before sun exposure. After that you should reapply every 2 hours. Since you have to reapply every 2 hours, I wouldn’t recommend wearing much makeup with this product, there’s really no point. Eye makeup is about as far as you can go really, since you shouldn’t apply this too close to your eyes. Type of Skin: This is an oil-free product, so water based. It really has no recommendations on the bottle because it is supposed to be suited for all skin types. However, according to customers, it is best for combination and dry skin. It will just make oily skin even worse. It is also labeled as a non-comedogenic product. Basically, this means that it is supposed to be better suited for your face because it will not clog your pores. Multiple Skin Benefits: Aveeno Smart Essentials contains vitamins A, C, and E to nourish your skin and keep it looking very healthy. It also contains an ingredient called Southernwood. 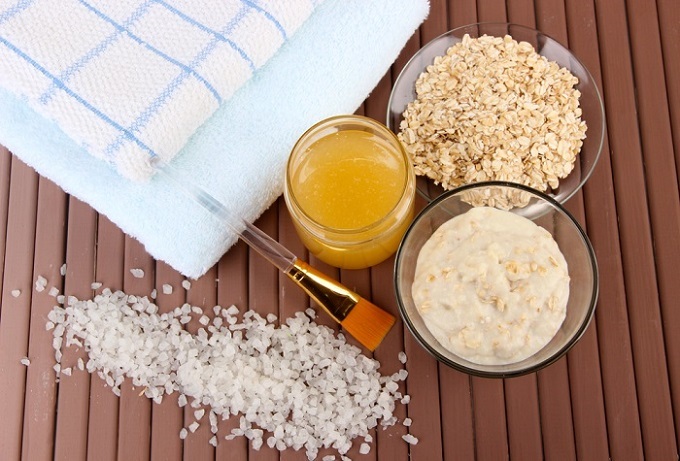 This added ingredient is meant to bind water to your skin to fortify the moisture barrier. Basically keeping good moisture in and protecting your skin from bad things that may cause irritation. Such as dirt and pollutants. But most of all it protects your face from UV/UVB rays with SPF 30, while it moisturizes, smooths, and conditions. Scent: I believe the added ingredient of the Southernwood give this an interesting scent. It really all depends on the person when it comes to the smell of this product. But that is pretty much the case with any scent. You’ll either love it or hate it, but it won’t last long so it's a big issue. Most customers think it has a vanilla and citrus scent. Drawbacks: There aren’t too many drawbacks to this product! The main issue is the possibility of it clogging your pores. There were a few complaints, but not enough to really worry me. I have very small pores and although I have blackheads, they aren’t very pronounced and I don’t consider them a huge issue. If you have larger pores or very sensitive skin, it might be something to take into consideration. In the end it is very hard to say unless you give it a try and decide for yourself. I would recommend this for anyone who has been interested in finding a facial moisturizing cream. This not only softens, smoothes, and conditions your skin, but it also protects you from UVA/UVB rays. Not to mention that it is affordable, locks in moisture, and creates a barrier for your skin from pollutants. You might be surprised how important it is to protect your skin from the sun in the spring and fall, including the summer. It is also super important to hydrate all year round, especially in the wintertime. I actually got sun-poisoning on one side of my face in early April on a super cloudy day. It was pretty painful and I had blisters all over the right side of my face. While I haven’t always been very conscious of putting on sunscreen, that was a big eye opener. I was about thirteen years old and incredibly stubborn, so I definitely needed to learn a lesson. Even if you haven’t been very good at protecting your skin from the sun in the past and are starting to see the signs, it is never too late to start. This daily moisturizer is enriched with antioxidants and vitamins that will refresh stressed skin. Better late than never! It is really important for everyone to moisturize and protect their skin from the sun. So this is a wonderful item to use for that purpose. However, if you have mature skin or very fair skin, you may need something a little bit different. There are other options with higher SPF and other benefits. It’s always important to get something that is best suited for your skin. It also isn’t recommended by customers for oily skin because it will just make the issue even worse. It is better for combination or dry skin. I would personally like to try this item because I have combination skin that can get dry and flaky in the wintertime if I don’t take good care of it. That can make applying makeup difficult because it all looks cakey. Although if you want some you can use with makeup, this isn’t a good option anyway. You’re supposed to reapply every 2 hours to ensure sun protection, so you wouldn’t really be able to wear cover-up or foundation of any kind. So it really all depends on what you’re looking for. 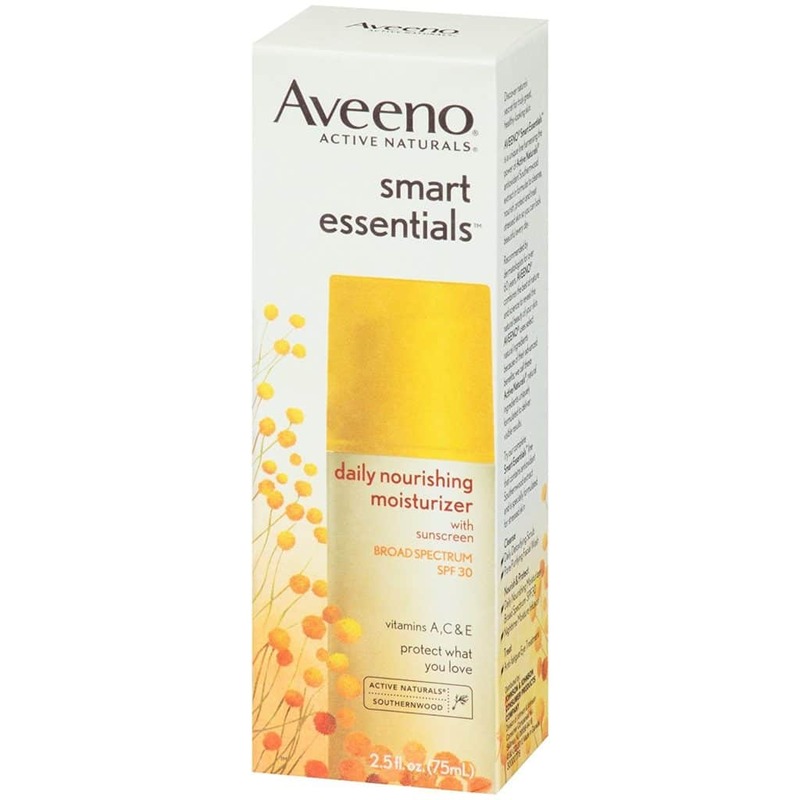 Aveeno Smart Essentials Daily Moisturizer is a wonderful product to use for both moisturizing and protecting your skin from the sun’s rays. 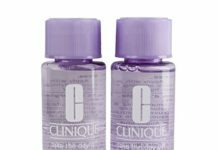 It is an affordable product that comes in a 2.5oz pump container so it is the perfect travel size to pop in your bag and take with you. It will provide you with 30 SPF, is enriched with antioxidants and vitamins that will keep your skin soft, smooth, and healthy. To top it all off, it is also hypoallergenic and non-comedogenic! If you aren’t familiar with the term non-comedogenic, it basically means that it is made for your face and will run less of a chance of clogging your pores like a body moisturizer. 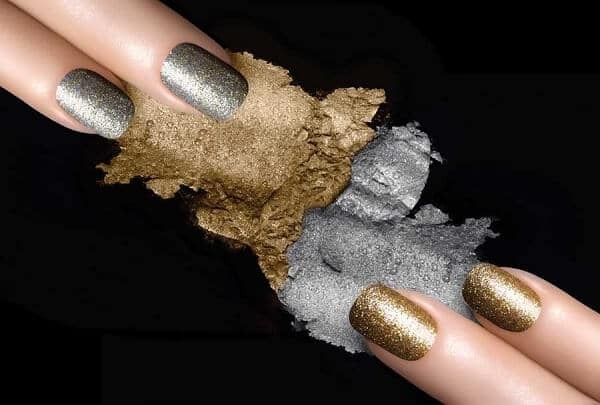 So it will be suited for almost any type of skin, even the most sensitive. It is not a super thick consistency so it should go on smoothly and evenly. However, it has the potential to make oily skin even worse. This product has a pleasant vanilla and citrus scent that will fade quickly so you don’t have to worry about it clashing with any perfumes you might plan on wearing as well! We already covered most of our bases with this product. But since there are so many great benefits, I wanted to touch on each one individually. This should make it much easier to decide whether this is the right product for you. 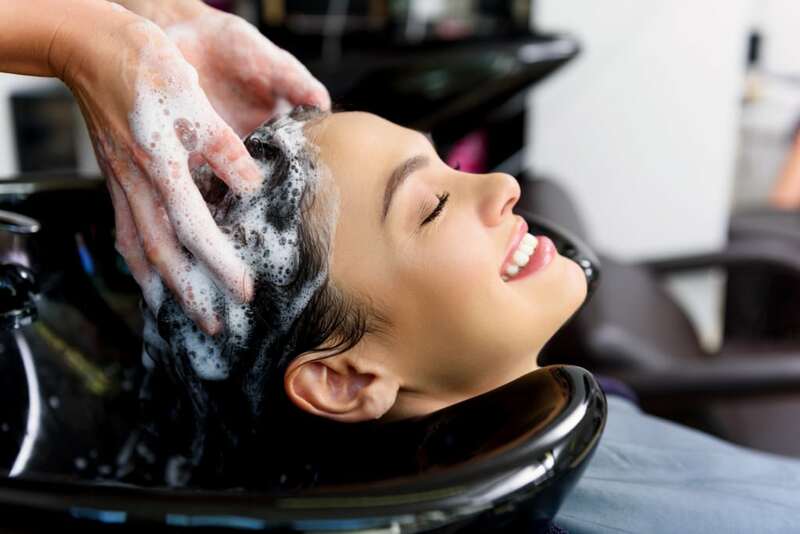 Aveeno is a well known and affordable brand that has a lot of fantastic products. They actually made our list a few times for this reason! I have used many of their products in the past. Including their body lotions, makeup removers, and things of that sort. They’ve certainly never let me down so I would love to try this product! This comes in a very convenient 2.5oz pump container. It is the perfect size to carry along with you, which is great because you may need to reapply a few times for a long day outside in the sun. It is suited best for combination or dry skin. It may make oily skin greasy, but there weren’t many complaints otherwise. It also is well suited for sensitive skin. The Aveeno Daily Moisturizer has 30 SPF and will protect your skin from both UVA and UVB rays. It does need to be applied 15 minutes before sun exposure and again every 2 hours after that. Some people might not find that to be very convenient, but in all reality you will have to do that with most products anyway. This product contains vitamins A, C, and E, as well as Southernwood extract which is an antioxidant. The combination will smooth, soften, and condition your skin and refresh stressed skin. The additional ingredient of Southernwood will help lock moisture in and keep pollutants out! It is hypoallergenic so it will work well on most sensitive skin without causing a breakout. It also is considered non-comedogenic so it will hopefully prevent your pores from getting clogged or enlarged with use. 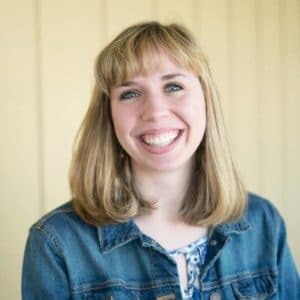 There is still the chance you will have either of these issues, but they included these benefits to give you the best possible chance of avoiding it. This is an oil-free moisturizer and will not leave your skin feeling greasy or oily. Now if you already have oily skin, it may make it worse. Just something to keep in mind! But I personally have combination skin and it only runs the possibility of getting oily if it’s humid in the summertime. The scent is a pleasant mix of citrus and vanilla. This comes from the addition of Southernwood extract. Even if it isn’t your favorite scent, it isn’t something that sticks around for too long. The customers really love this product! It is so gentle and affordable. It works for a majority of the customers. Although, since this is oil-free, a lot of people with oily skin think that it will work for them. Unfortunately, that doesn’t seem to be the case. But it really depends on how you use it. When my skin is oily, I personally just wash my skin with some type of cleanser and then use something like this. It cuts down on the oils I’m starting with and even if they build up over the day, I’m not going to end the day feeling as gross and greasy. Now other than that, people loved this because it isn’t too thick so you can put it on and it will absorb into your skin easily. They also love that it works as a moisturizer and a sunscreen that is gentle enough for your face. I don’t think I ever really considered how sensitive our faces are in comparison to the skin on pretty much any other area of our bodies. But in the summertime, I’m exposing myself to more damage by being in the sun so often without protection. But by using the Aveeno Smart Essentials Daily Moisturizer you can knock both issues out of the park without missing a beat! So customers were really happy with that. I totally understand if this isn’t the right product for you or if you’re just interested in looking into other options. When it comes to skin products, you absolutely have to get something suited for your skin. So if this isn’t it keep looking! I am currently working on a list of the 10 Best Moisturizers with SPF of 2018. So even if you aren’t interested in this product or any of the alternatives we list here, you should check the rest out! But before you do, feel free to check out these 3 alternative options! Neutrogena is another well known and fantastic brand. I have used their products in the past and never had any complaints! This is a moisturizing lotion with SPF 110, it comes in a 3oz tube, and it goes on very smooth and even. It absorbs into your skin quickly and is water resistant for up to 80 minutes! 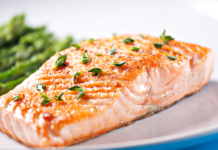 It contains ingredients that will help with deep cellular protection. This is meant to protect your skin 6 layers deep! It is a very lightweight product that will defend against aging, including wrinkles, fine lines, age spots, and uneven skin tone! Aveeno has quite a few wonderful products and this is just another on the list! This Absolutely Ageless Moisturizer also contains SPF 30. Protecting your skin and preventing any further damage. It is carefully made to reduce fine lines and wrinkles. As well as keeping skin looking young and healthy! It achieves this by helping to improve skin’s elasticity and firmness. Overall, it is best suited for mature skin because it will help to improve and heal any past damage, as well as preventing future damage! As I said, this is perfect for mature skin. It will help heal past damage and minimize future damage as well! But since this is so good for preventing future damage, I feel like it really might be better for you than you might think. Just because you aren’t already old doesn’t mean you can’t use an anti-aging product! If anything, it will promote firmness and elasticity for even longer. I personally think it’s a good thing to promote before you lost it, rather than afterwards! I know that this is supposed to be an anti-aging cream, but this is good for so much more. Why only try to fix any damage your skin has already suffered? Why not try to prevent it before it happens! Now this is a bit more expensive than some of the other Aveeno options. However, it has some unique benefits and might be just what you’re looking for! If you’re interested in trying Aveeno Absolutely Ageless Daily Moisturizer with Sunscreen you can find it on Amazon and have it shipped right to your door! This is one of the pricier options on our list. It comes in a 2.5oz container and contains sunscreen that is SPF 30. It will protect you from the risk of skin cancer, early aging, and restore healthy looking skin. This lightweight formula absorbs quickly, providing you with all day hydration. It is even considered a prebiotic skin care formula that restores skin’s natural protective barrier after just an hour! Customers loved the fact that this product is paraben and fragrance free, allergy tested, and tested on sensitive skin. Between all these benefits it is worth the price for most of the customers! If you have very sensitive skin, this could be a wonderful option for you. It may not be hypoallergenic, but it does not contain any fragrances. There were a lot of customers who were looking for just that. They were very sensitive to added fragrances and would break out in a rash so easily. This product gave them a way to use hydration and protection without worrying about breaking out in a rash. It is also non-comedogenic and helps to shrink pores rather than clog or enlarge them! I know this is a more expensive option. I typically go for the more affordable options myself. But there are a lot of extra benefits to this product that you can’t find in all of these products. You get SPF 30 sunscreen, all day hydration, prebiotic skin care, a lightweight product, and reinforces your skin’s natural protective barrier! Not to mention the fact that it is fragrance and paraben free! So if you find yourself looking for something with a multitude of benefits and don’t mind paying a little extra, this could be right for you! If you’re interested in La Roche-Posay Toleriane Face Moisturizer you can find it on Amazon! This product is just about everything you need in a moisturizer! It is gentle, oil free, contains vitamins, and antioxidants. It leaves your face feeling soft and smooth. It may not be a cleanser, but all you have to do is wash your face and put this on and it won’t contribute to making you break out. It will actually protect your skin from the things that normally make you break out in the first place! The best thing about this is the fact that it can be used by just about anyone and it comes in handy any time of the year. Sun protection is more necessary all year round than you might think. In the end we gave this a 5 star rating because it really is so convenient and a fantastic multiple use product! It also has health benefits because sun protection is so important and a lot of people don’t take that seriously enough. So in the end, I would absolutely buy this product and recommend it to other people. I’ve been trying to take better care of my skin and this is another step in the right direction. 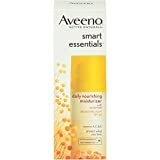 You can find Aveeno Smart Essentials Daily Nourishing Moisturizer with Broad Spectrum SPF 30 on Amazon for a great price!